Check out my latest article – titled “Communities and change in the anthropocene: understanding social-ecological vulnerability and planning adaptations to multiple interacting exposures” – with Jessica Blythe, Stephen Tyler and Natalie Ban just published in Regional Environmental Change. This OPEN ACCESS article can be downloaded from here or online at REC. Abstract: The majority of vulnerability and adaptation scholarship, policies and programs focus exclusively on climate change or global environmental change. Yet, individuals, communities and sectors experience a broad array of multi-scalar and multi-temporal, social, political, economic and environmental changes to which they are vulnerable and must adapt. While extensive theoretical—and increasingly empirical—work suggests the need to explore multiple exposures, a clear conceptual framework which would facilitate analysis of vulnerability and adaptation to multiple interacting socioeconomic and biophysical changes is lacking. 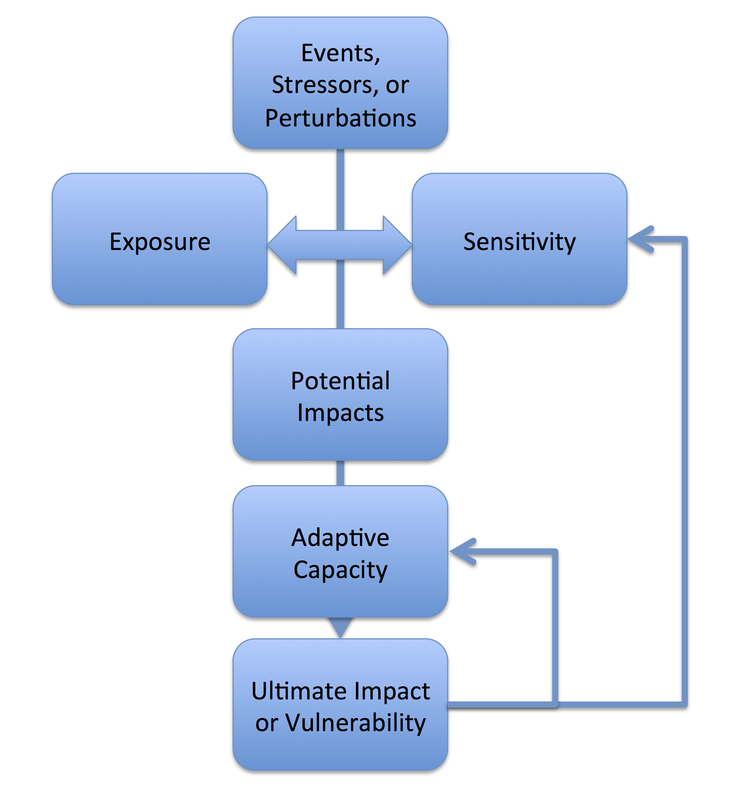 This review and synthesis paper aims to fill this gap through presenting a conceptual framework for integrating multiple exposures into vulnerability analysis and adaptation planning. To support applications of the framework and facilitate assessments and comparative analyses of community vulnerability, we develop a comprehensive typology of drivers and exposures experienced by coastal communities. Our results reveal essential elements of a pragmatic approach for local-scale vulnerability analysis and for planning appropriate adaptations within the context of multiple interacting exposures. We also identify methodologies for characterizing exposures and impacts, exploring interactions and identifying and prioritizing responses. 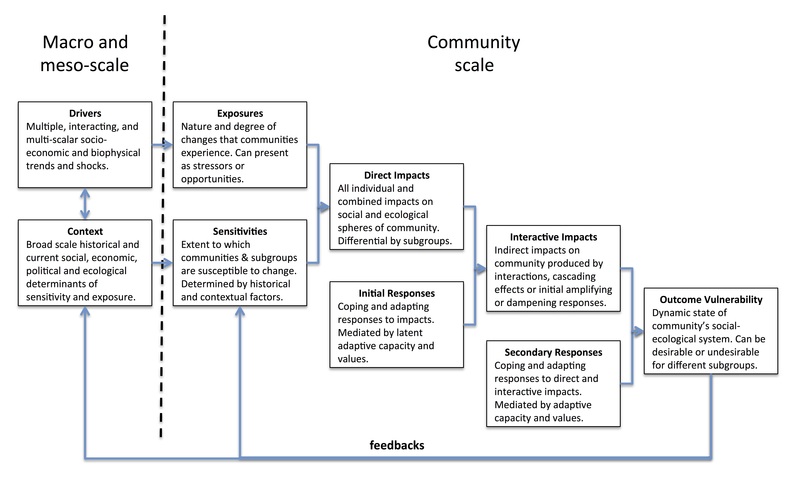 This review focuses on coastal communities; however, we believe the framework, typology and approach will be useful for understanding vulnerability and planning adaptation to multiple exposures in various social-ecological contexts. Abstract: The health and productivity of marine ecosystems, habitats, and fisheries are deteriorating on the Andaman coast of Thailand. Because of their high dependence on natural resources and proximity to the ocean, coastal communities are particularly vulnerable to climate-induced changes in the marine environment. These communities must also adapt to the impacts of management interventions and conservation initiatives, including marine protected areas, which have livelihood implications. 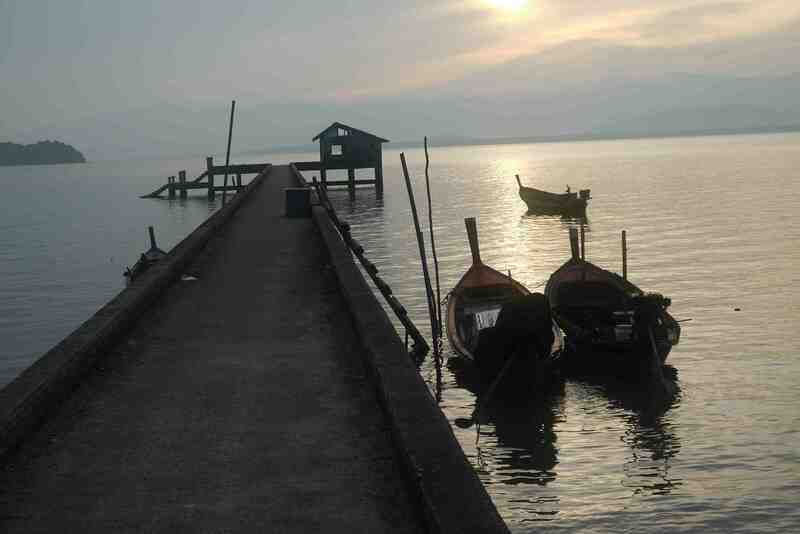 Further, communities on the Andaman coast are also experiencing a range of new economic opportunities associated in particular with tourism and agriculture. These complex and ongoing changes require integrated assessment of, and deliberate planning to increase, the adaptive capacity of communities so that they may respond to: (1) environmental degradation and fisheries declines through effective management interventions or conservation initiatives, (2) new economic opportunities to reduce dependence on fisheries, and (3) the increasing impacts of climate change. Our results are from a mixed methods study, which used surveys and interviews to examine multiple dimensions of the adaptive capacity of seven island communities near marine protected areas on the Andaman coast of Thailand. Results show that communities had low adaptive capacity with respect to environmental degradation and fisheries declines, and to management and conservation interventions, as well as uneven levels of adaptive capacity to economic opportunities. Though communities and households were experiencing the impacts of climate change, especially storm events, changing seasons and weather patterns, and erosion, they were reactin g to these changes with limited knowledge of climate change pe se. 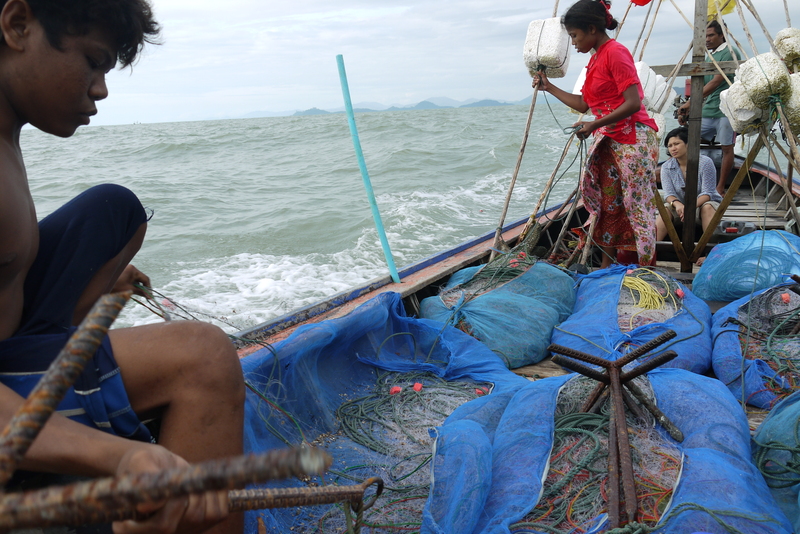 We recommend interventions, in the form of policies, programs, and actions, at multiple scales for increasing the adaptive capacity of Thailand’s coastal communities to change. The analytical and methodological approach used for examining adaptive capacity could be easily modified and applied to other contexts and locales. The following article has been published online. Abstract: Vulnerability and adaptation to climate change have become a dominant theme in development and conservation research and work. Yet coastal communities are facing a wider array of different stressors that affect the sustainability of natural resources and the adaptive capacity of local residents. The ability of communities and households to adapt is influenced by the nature, number, and magnitude of the changes with which they have to contend. In this paper, we present the range of 36 socio-economic (i.e. economic, social, governance and conflict) and biophysical (i.e. climate change and other environmental) stressors that emerged from qualitative interviews in seven coastal communities on the Andaman coast of Thailand. These stressors were then integrated into a quantitative survey of 237 households wherein participants were asked to rate the level of impact of these stressors on household livelihoods. Ratings showed that economic and some climate change stressors – extreme weather events and changes in rainfall patterns and seasons – were scored higher than other stressors. The paper also examines the relationships between community and various individual and household characteristics – such as gender, age, livelihoods, levels of social capital, and socio-economic status – and the perceived level of impacts of various stressors on household livelihoods. Overall, community and livelihoods had the most differentiated impacts on perceptions of stressors but few other prominent patterns emerged. In conclusion, this paper discusses the implications of the results for current climate change vulnerability and adaptation policy and practice in Thailand and elsewhere.